- Have You always wanted to go to jail, but just for the photo's? - Wanna put your face on a disgraced celebrities head? - Wanna look like a burned out junkie criminal but without all the hard work? 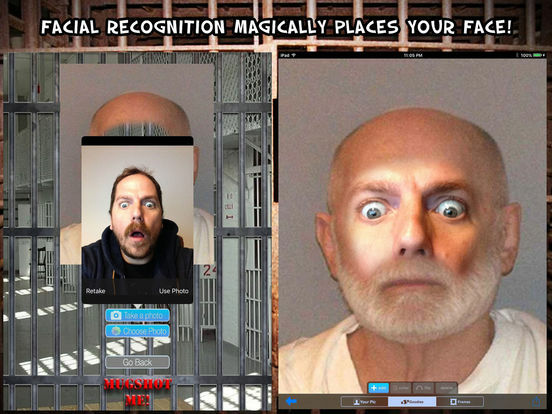 Then get "Mugshot Me!" 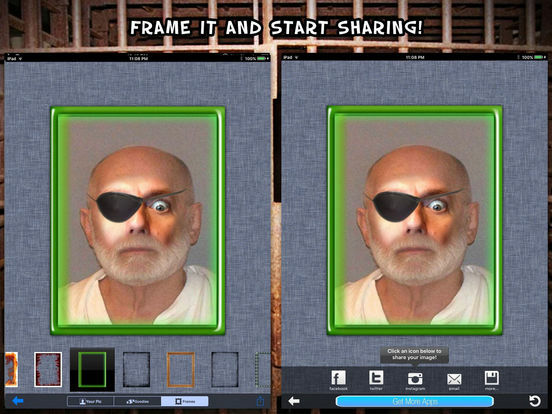 the great new app from the makers of the hit app "Masterpiece Me!" over 200 faceless pictures of dirtbags for you to stick your face in and entertain your friends and family! 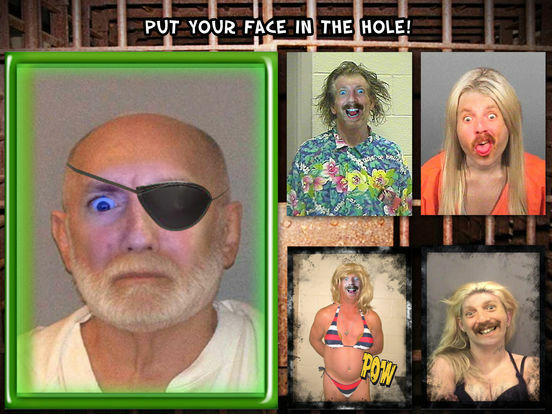 Just take a pic or choose one from your library and insert your face or your friend's into a slimeballs mugshot! Fun for hours, or at least 10s of minutes! 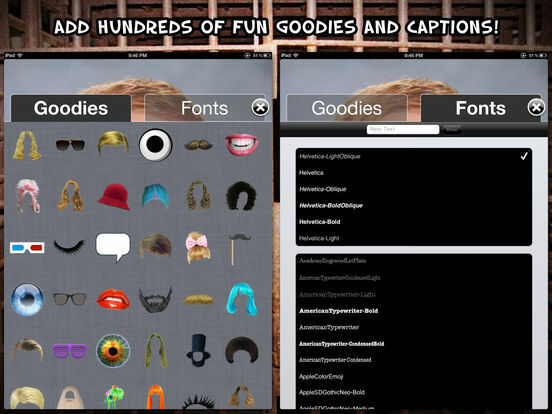 And now it's even more fun with the goodies pack! 216 great things to put on top of your pictures! 1. Perp Pack! 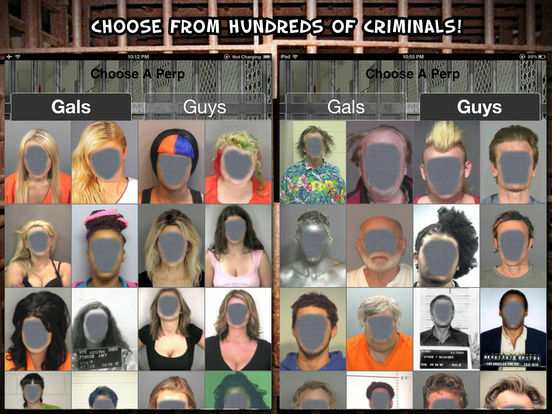 200+ mugshot of filthy criminals to stick your face in! 2. Goodies pack! 216 great images to stick on your picture! - Then you can save it, put it on facebook, twitter, Instagram, photoapplink, or copy it to send your pic in an SMS!